Trading cards have been a fun tradition for a long time. Trading cards have ranged from baseball, to Magic, to Pokémon. Mostly seen as a wholesome activity done between clean cut boys on the schoolyard, trading cards came to a disturbing turn in the mid-eighties. The birth of Garbage Pail Kids tickled the disgusting funny bones of kids both young and old. Beloved in the eighties kid memory, these cards were banned in schools at the height of their popularity. We really can't figure out why. 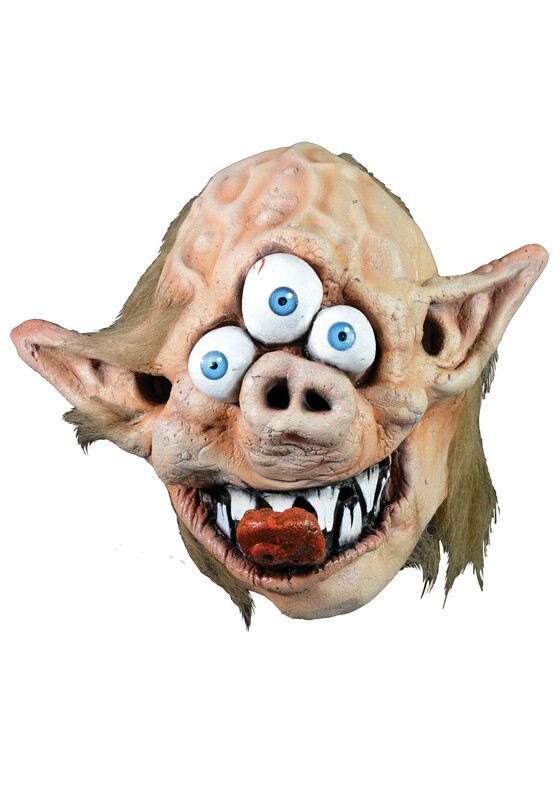 If you want to relive your memories of those golden days in the 80's, consider going as a real life Zeke the Freak this Halloween. His grotesque features will gross out everyone who sees you and delight anyone who traded these iconic cards. Be sure to send a picture to your school buddies to let them know you haven't forgotten how gnarly it was, trading cards back in the day. Honor your sick minded middle school self and bring Zeke the Freak to life this year.